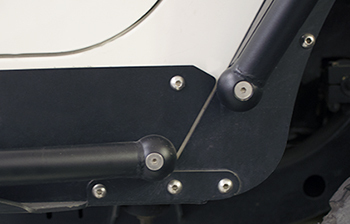 The MetalCloak YJ/CJ-7 Rocker Rails are fully integrated rocker protection that utilizes a dual linear bolt pattern on the tub (with the first pattern below the door and the second pattern below the axis of the step) preventing the "can-opener" effect seen when typical rockers hit a hard object. 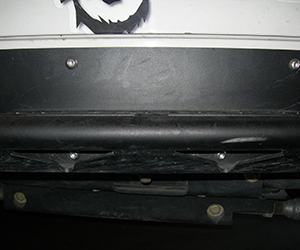 Additionally, the true integrated skid plate runs from under the tub to the tangent of the tube step creating a perfect source of force deflection. 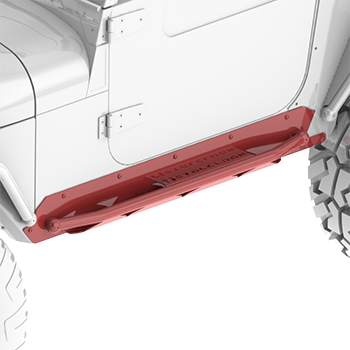 Note: The MetalCloak Rocker Rails are designed to integrate with MetalCloak Fenders, while they can be used without MetalCloak fenders, they will not have the typical look of most aftermarket rockers. 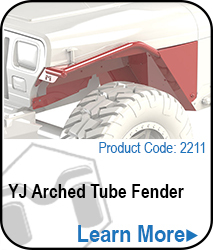 3" Step & Hi-Lift Mount built in. 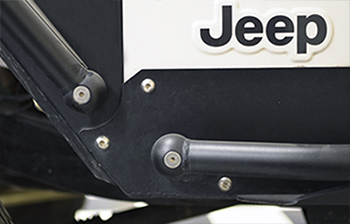 With a built-in step, deflector plate and hi-lift mount, the Rocker Rail for the CJ-5 protects and serves like no other. Note: Ball ends are for look only. 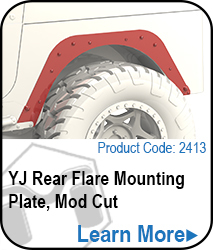 Unlike MetalCloak flares, the Rocker Rail steps are not removable. 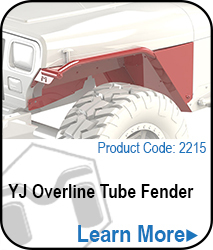 The Rocker Rail is designed to become one solid unit of strength uniting our front and rear fenders. 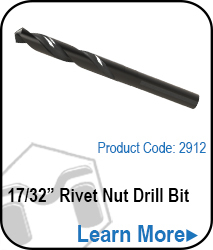 Though we rarely think of EVERYTHING... we try to meet all your needs. 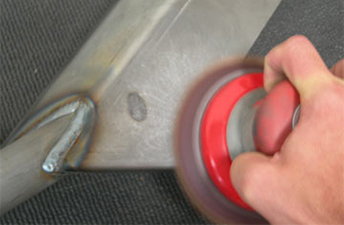 The Rocker Rail has a built-in Hi-Lift point to make those critical repairs that much easier.